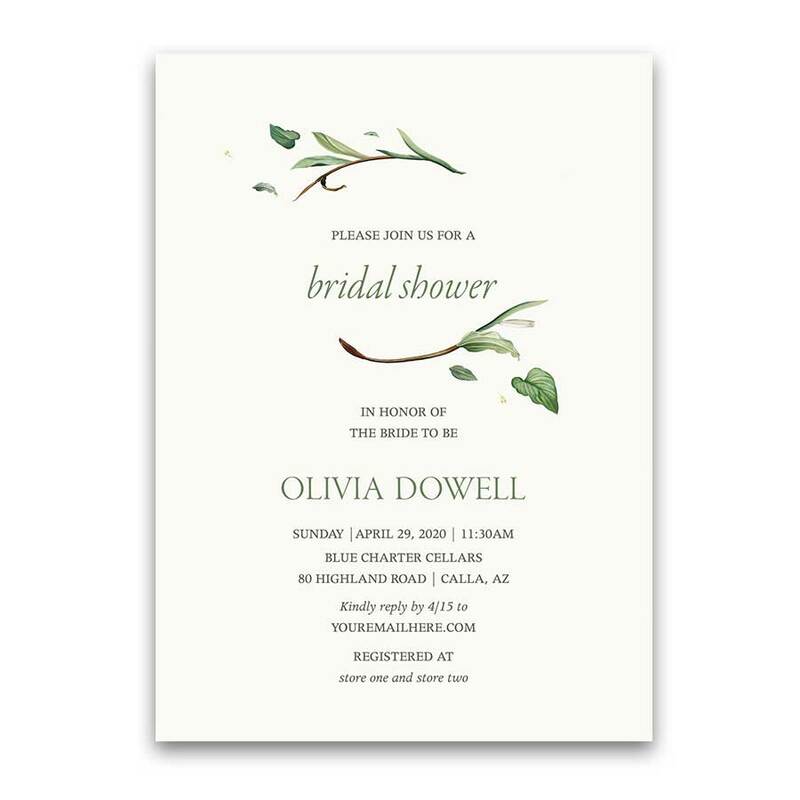 A beautiful greenery inspired wedding invitation featuring modern fonts paired with a greenery wreath intertwined with a few dreamy creamy florals. A gorgeous and elegant wedding invitation which will set the stage for your wedding day nuptials. Each card comes with an accompanying envelope. 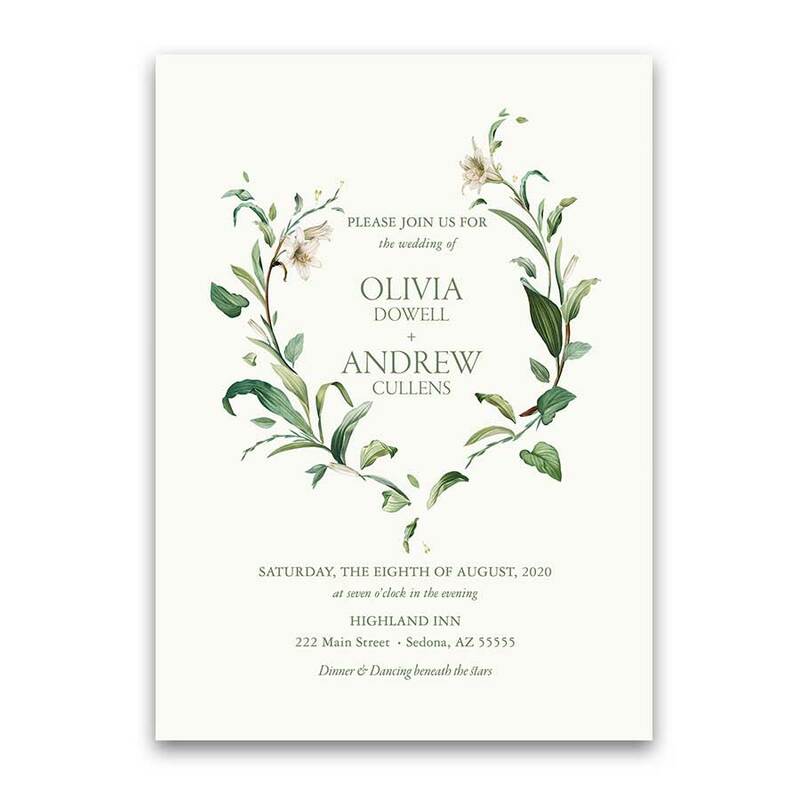 Greenery Wedding Invitation Floral Wreath Bohemian Chic. 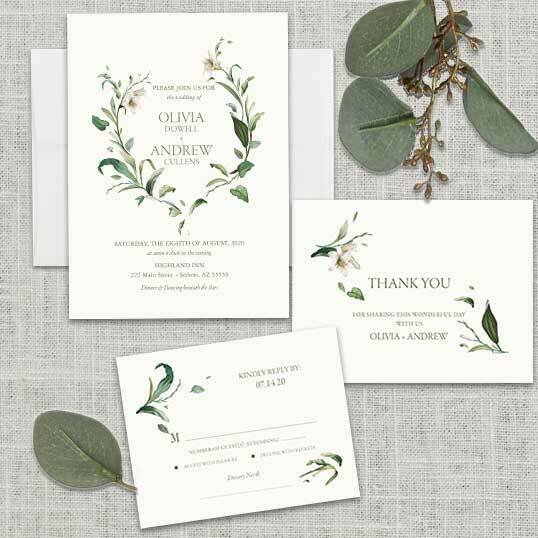 This absolutely stunning boho chic wedding invitation features modern greenery surrounding your names in a frame. 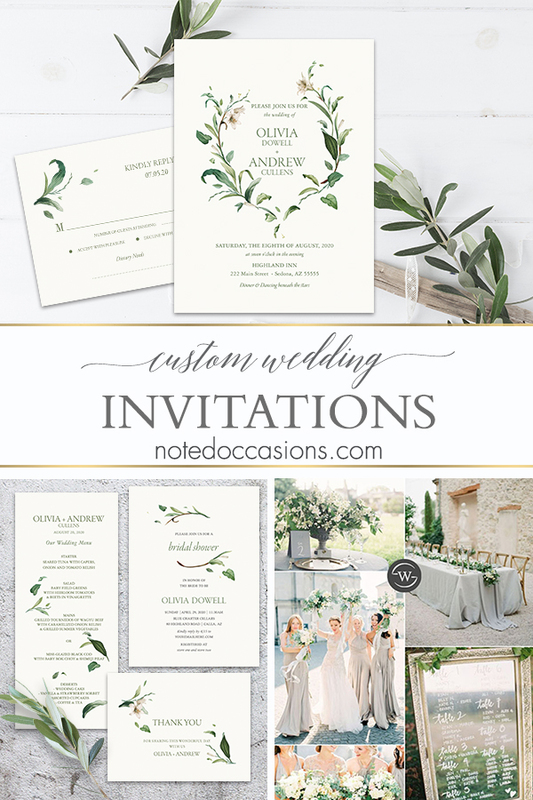 Eucalyptus and greenery define the modern stylish wedding and the modern text layout also make this perfect for elegantly styled boho weddings. Welcome to the Shelbourne Collection. 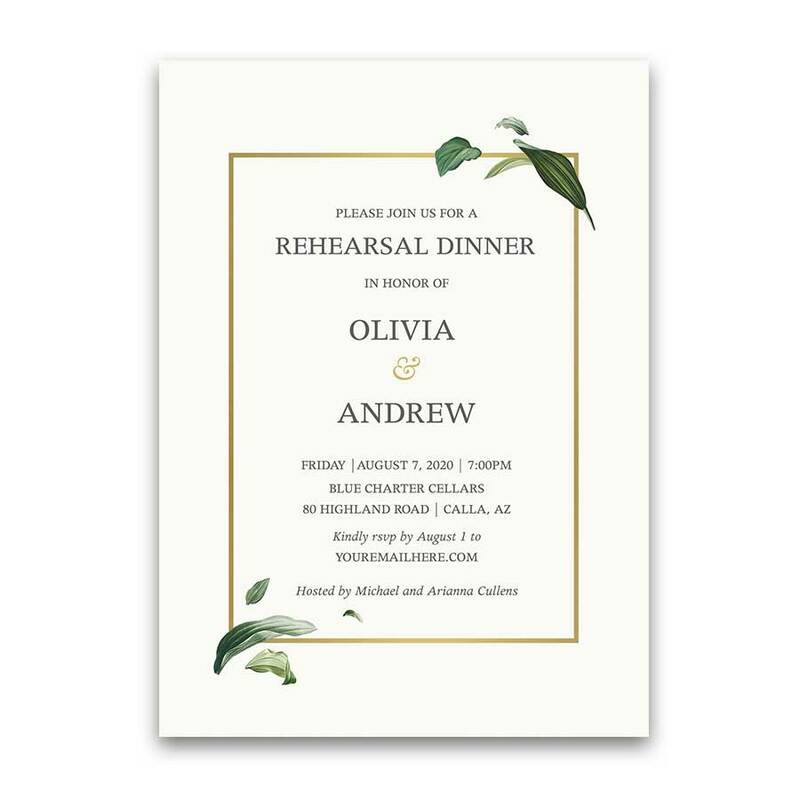 Set on an elegant white background, this greenery wreath wedding invitation boasts a a wreath of greens and florals around the names of the bride and groom, perfectly announcing your wedding. Gorgeous elegant fonts also complete the design. Romance flourishes within the greenery of this design. 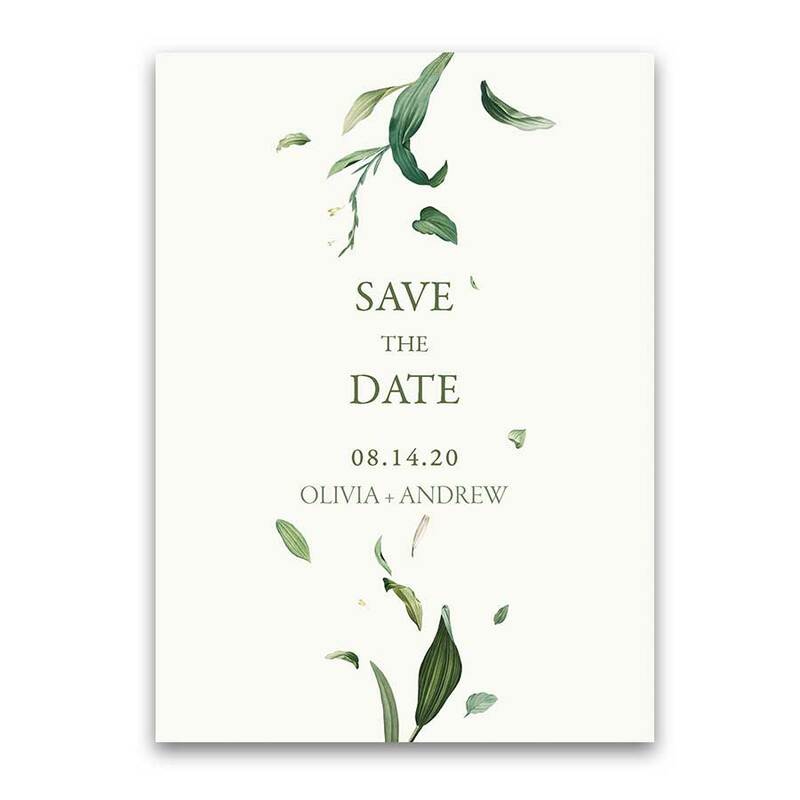 Likewise, the wonder of greenery makes this design perfect for many different wedding themes. Especially relevant for: formal weddings, elegant weddings, bohemian chic weddings, modern weddings, industrial weddings and classically romantic weddings alike any of the months spring, summer, or winter. 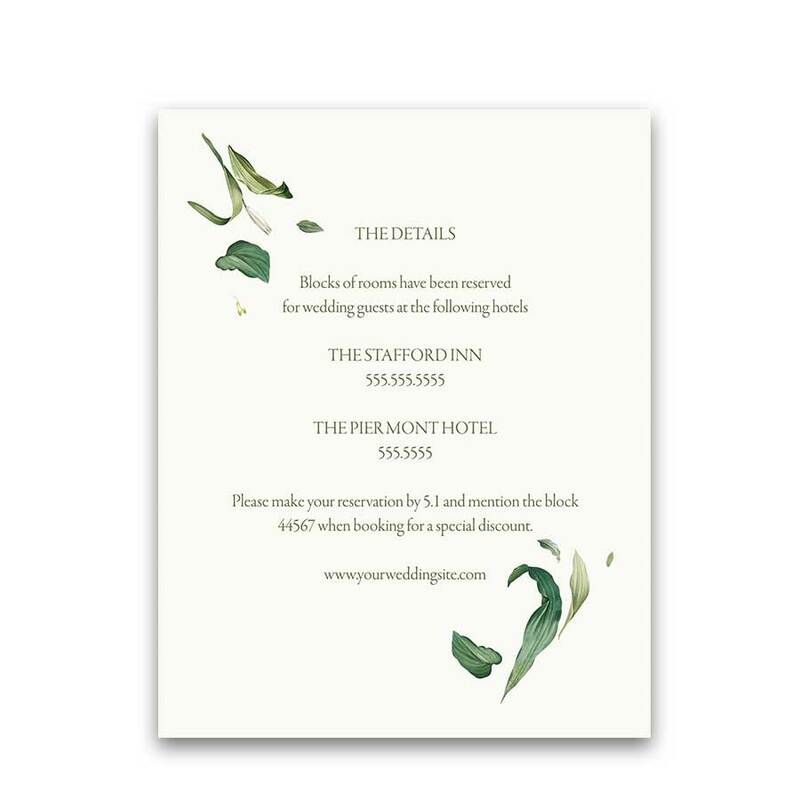 More greenery wedding invitations are available in the store as well. Please feel free to visit our Pinterest boards for more wedding ideas and inspirations! 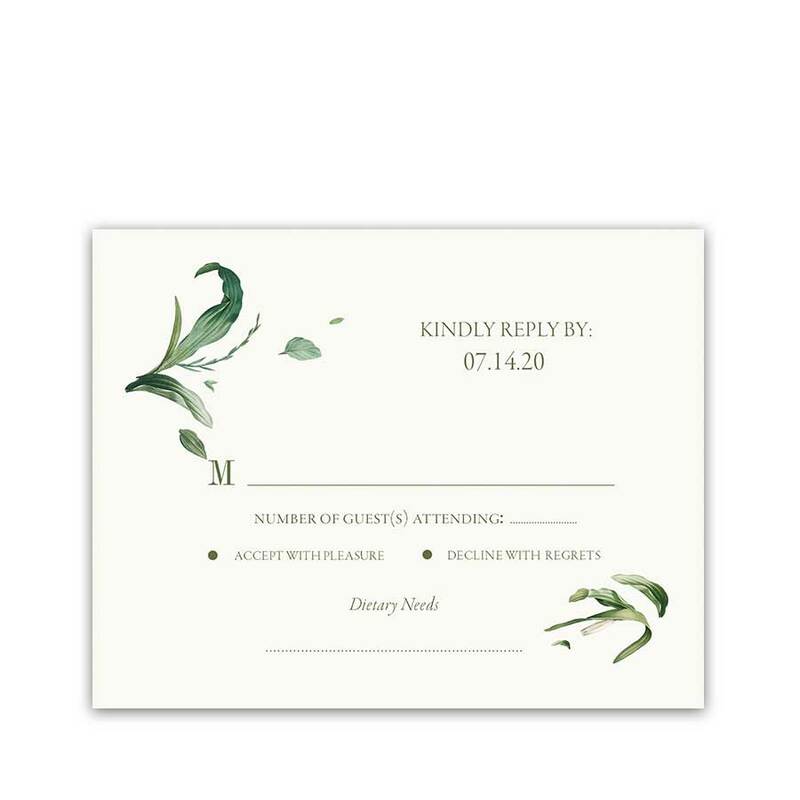 The Greenery Wedding Invitation Floral Wreath Bohemian Chic measure 5 inches wide by 7 inches long. The back of the invitation is also white. 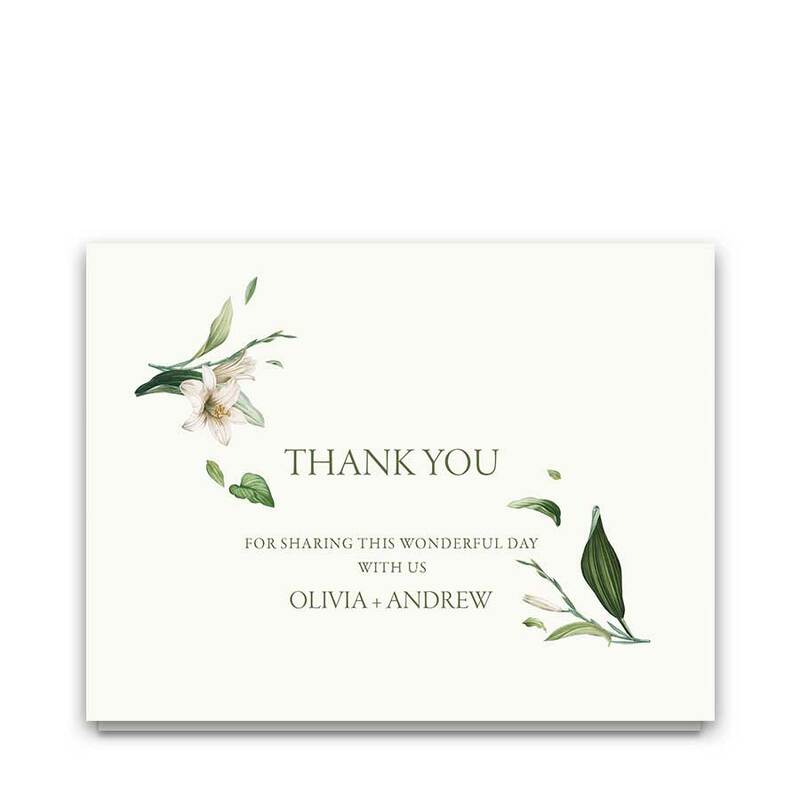 Cards arrive printed on our gorgeous #120Signature paper with the option of white or cream cotton, flat back envelopes. 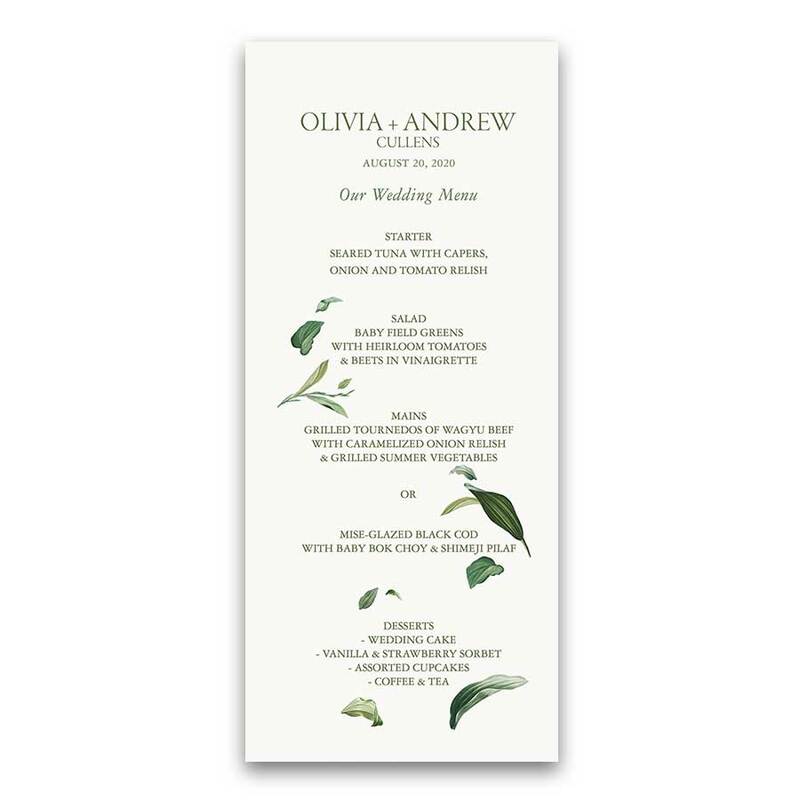 We customize the wedding invitation with the wording provided at checkout. Therefore, please be sure to include the exact wording as you would like it to read on the order form. If you prefer a different color for the text, simply let us know! Moreover, allow you the opportunity to review prior to printing. We look forward to working together.